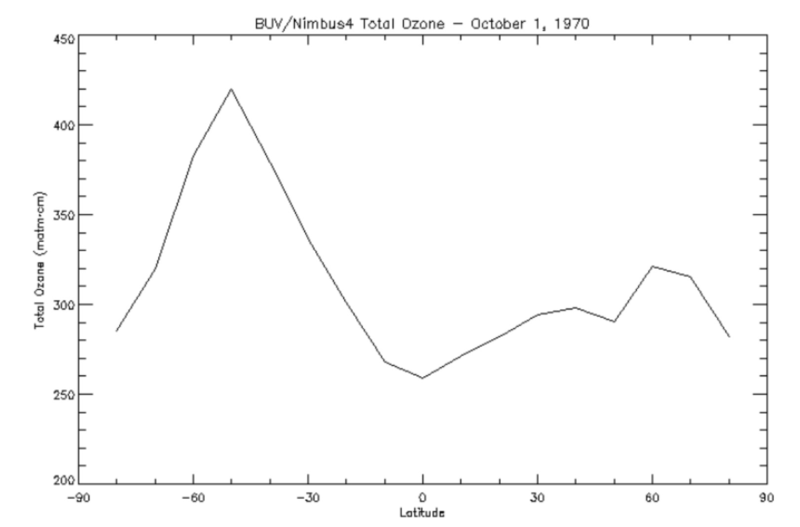 The Nimbus-4 BUV Level 3 Ozone Zonal Means collection or ZMT contains total ozone, reflectivities, and ozone mixing ratios averaged in 10 degree latitude zones centered from 80 to -80 degrees. Mixing ratios are given at 19 levels: 0.3, 0.4, 0.5, 0.7, 1, 1.5, 2, 3, 4, 5, 7, 10, 15, 20, 30, 40, 50, 70 and 100 mbar. In addition to the means, files also include the standard deviation, minimum and maximum values, as well as sample size. The data were originally created on IBM 360 machines and archived on magnetic tapes. The data have been restored from the tapes and are now archived on disk in their original IBM binary file format. Each file contains monthly, weekly and daily zonal means, as well as quarterly means if it is the last month of the quarter. The files consist of data records each with one-hundred-eighty 4-byte words. Monthly, weekly, daily and quarterly means are distinguished by the seventh 4-byte word in the records. A typical file is about 380 kB in size. The BUV instrument was operational from April 10, 1970 until May 6, 1977. In July 1972 the Nimbus-4 solar power array partially failed such that BUV operations were curtailed. Thus data collected in the later years was increasingly sparse, particularly in the equatorial region. This product was previously available from the NSSDC as the Zonal Means File (ZMT) with the identifier ESAC-00039 (old ID 70-025A-05O). Users should note that ground truth data had been used in adjusting the BUV albedos for changes in instrument sensitivity, thus rendering uncertainty in the derived ozone values for long-term trend study. Also, dark current counts that are zenith angle dependent and that affect the derivation of ozone profiles, especially at high altitudes, are flagged. Created by: Donald F. Heath, et al.